Posted on July 7, 2014 July 22, 2014 by JumpKing Trampolines, U.S.
Trampoline and Bounce Houses are really awesome to gather some of the most exciting and adventurous moments. What makes it more interesting is that you cannot resists to hold your breaths for a while but most of the people really don’t follow the basic rules and guidelines to start with a home trampoline. It is indeed a fact that countless people injure themselves while jumping and tumbling. It is also significantly noticed that many of them have tried inappropriate jumping tips and tricks that ended up with serious injuries. 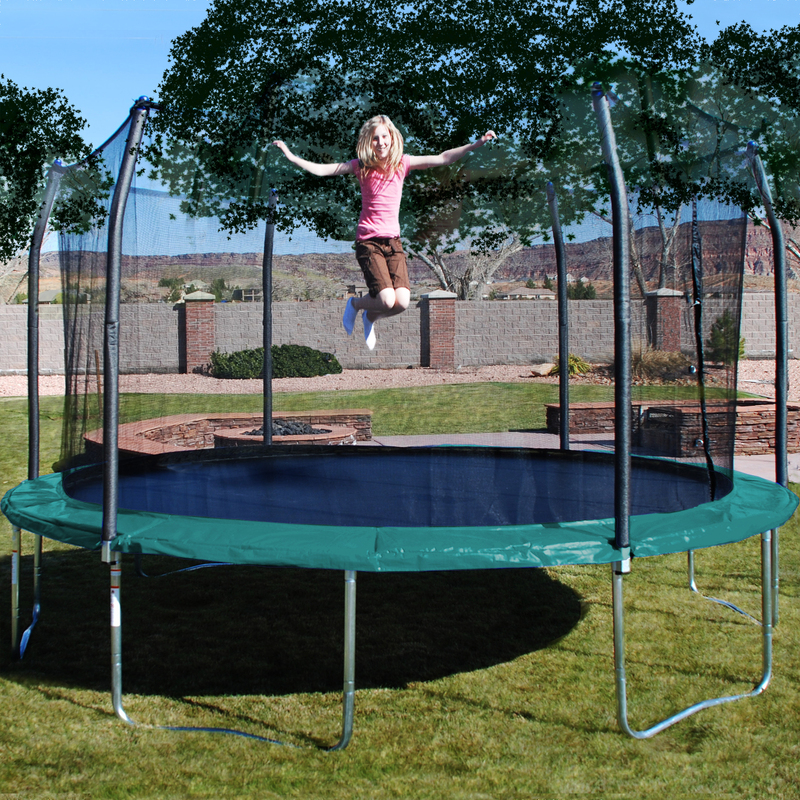 Critically focusing on beginners’ and trampoline enthusiasts’ passion, manufacturers have started manufacturing value added trampoline accessories and parts and now offer Net Enclosure that provide extra support and confidence to the kids while playing and practicing on their home trampoline. Although you can find a number of trampoline brands in the open market but what attracts people the most is that how much they are safe and have reduced chances of injuries and damages. Today manufacturers put great emphasis on minimizing the risks involved by bringing in new designs so that you can have splendid adventure. The majority of experts suggest following the basic guideline of doing a warm-up session before you start jumping and in addition to that beginners are recommended to go through a series of training and learning offered at many of the jumping and tumbling institutes in the U.S. Let us now explore what is being featured in the latest trampolines. Highly durable springs having great shock absorbing capacity while stabilizing the most appropriate torque delivering smooth bounce. Higher netted walls in order to develop a persistent feeling of confidence while playing and jumping. The netted wall is further supported by strong pillars wrapped with the finest quality foam which brings in another crisp to the impressive designs. In order to make the 48” Bouncer Trampoline more secure; manufacturers add up handle support as well so that younger children may have extra support and convenience while enjoying on their home trampolines.